This superb quality, pure new wool Heavyweight 450 gram (16oz.) cloth is best for kilts because its pleats hang so much better than in lighter weaves. 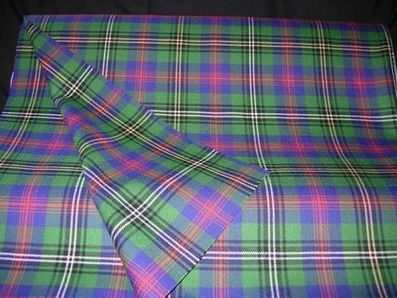 Woven in the Lowlands of Scotland, at 137cm (54") it is double the standard width. If you not resident in the United Kingdom, the PayPal system will automatically show the price in your national currency before you submit your payment. For a quick check, use this link: http://www.xe.com/ucc .